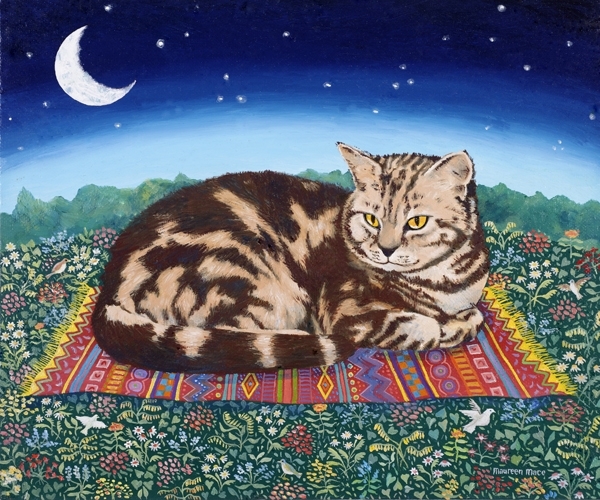 A tabby cat sits on a beautiful Turkish carpet floating a few inches above a field packed with wild flowers and birds. A dreamy painting of a cat that everyone would love to meet who ensures that earth has a myriad of flowers to keep our planet healthy. The cat travels the earth at night under the stars.